Geninne's Art Blog: We have a winner! Congratulations! Please email me your mailing address as soon as possible. Thank you so much for making me feel so loved yesterday! October won 'favorite month' by a landslide! Congratulations October! & my sweet sister Kiki were born during your days. 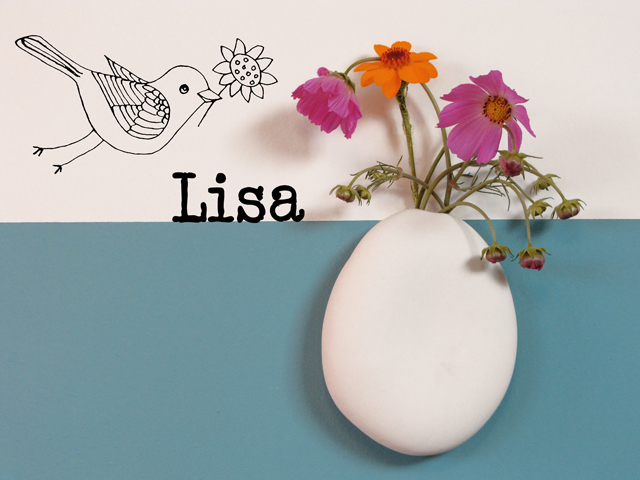 *The beautiful wall vase was made by Paula Valentim of Otchipotchi.